Why Heat My Home With Geothermal? 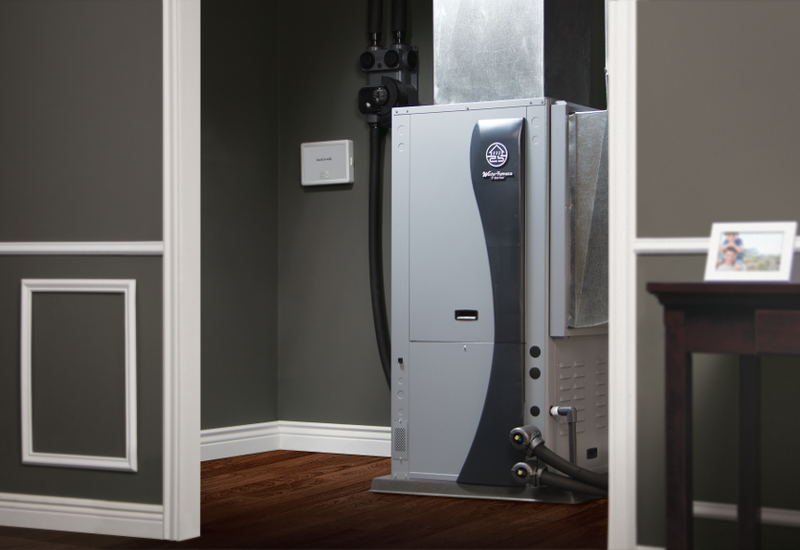 A geothermal unit looks very much like a standard natural gas furnace. Save on your heating and cooling bills -- and help the environment, too -- with a quiet, energy-efficient, dependable WaterFurnace geothermal system for your West Michigan home or business. Unlike conventional heating systems that consume natural gas or propane, a geothermal system draws free heat directly from the Earth. At just a few feet below the surface, the ground in West Michigan maintains a constant year-round temperature of 49 to 52 degrees, making it a perfect source of heat. A standard forced-air system (ductwork) transfers the warm air throughout your home or business. In summer, the geothermal unit reverses the process, cooling your home or business by transferring heat from the building to the ground. Don't take a chance on discount installers or those who are new to geothermal technology. Tom Kiessel has been installing and servicing geothermal systems in West Michigan since 1981, and is now in his 36th year of working in the heating, ventilation and air conditioning industry. He has installed more than 1,200 geothermal systems. With Tom's depth of geothermal knowledge and wide range of experience, you can be sure your system is appropriately sized for your heating and cooling needs and is professionally and properly installed and serviced. Contact us today for a free estimate or to learn more about geothermal heating and cooling!